Each link has a concaved edge with chased sides. Each Link is 15mm long by 11mm wide. Link sides are 2mm thick and 2mm wide. 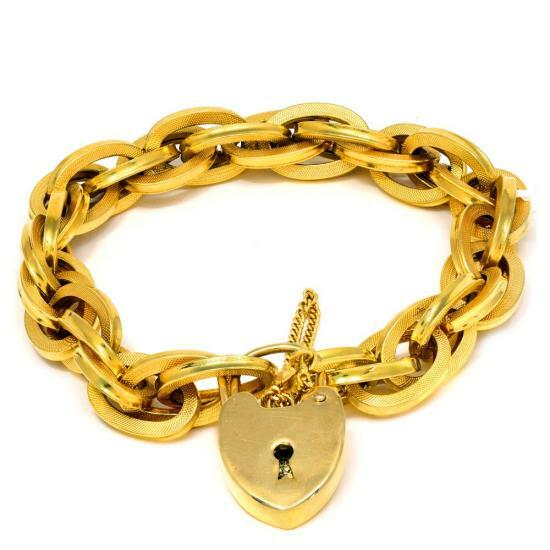 Total Bracelet length is 180mm with a 75mm safety chain.